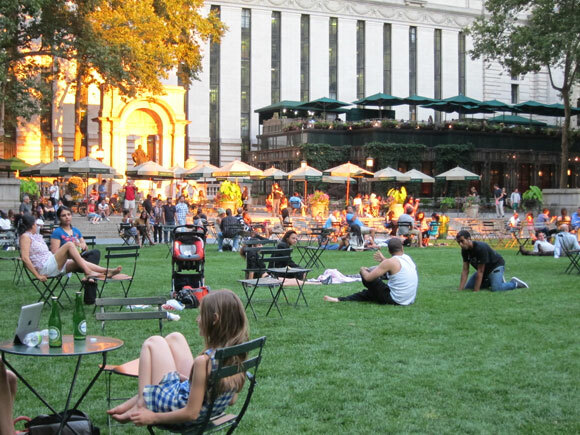 You can now enjoy Bryant Park even later into the evening with our new extended summer hours. Due to the ever increasing popularity of the park, we decided that 11pm was too early to ask people to leave. The park will now stay open an additional hour, until midnight Mondays through Saturdays for the remainder of the summer and early fall seasons. Enjoy the extra time outdoors with a game of ping pong (bring your own equipment), drinks at the Bryant Park Cafe, a visit to the clean public facilities at the Bryant Park Restroom, or a simple stroll through the park to soak up the summer air.